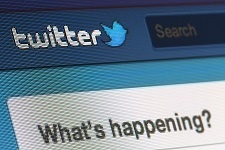 Twitter is a great resource for brands looking to engage their customers through social media. In fact, one of our focus platforms at GaggleAMP that we consider a ‘big player’ on social media is Twitter. Part of your journey on Twitter involves utilizing searches as a tool for finding users, tweets, and topics of interest. Unfortunately, many are missing out on the true potential of Twitter searches because they’re simply unfamiliar with the setup. Here are a few tips from GaggleAMP to help you get the most out of your Twitter searches. Problem #1: You want to search for a phrase or multiple items, not just a keyword. Solution: Twitter searches are not simply conjugated to single-word searches. In fact, you can search for a phrase by encasing said phrase in quotations. For example, if you want to search for ‘social media’, simply type “social media” in the search box with the quotation marks. This keys Twitter into searching for both words as a phrase rather than searching for each word separately. If you’re wanting to search for multiple words that aren’t necessarily a phrase, separate the words with AND or OR. For example, you can search Facebook AND twitter (results will show both words) or Facebook OR twitter (results will show either word). Problem #2: Your results are too lengthy, and you’d like to exclude something from the search. Solution: Simply add ‘minus’. For instance, you can search for media -social to get results that show ‘media’ but will never show results that include both ‘media’ and ‘social’. Problem #3: You want results in relation to a specific person. Solution: To search for tweets that are FROM somebody, simply use the word ‘from’. For example, from:GaggleAMP. The same goes for finding search results that include tweets that are TO somebody. Just replace the word ‘from’ with the word ‘to’. Problem #4: You want to search for tweets relative to a location. Solution: You can search for tweets that are created near a location by using the same colon connection as previous. For instance, you can search for rain near London by typing ‘raining near:London’. Narrow those results further by adding another colon connection like, ‘raining near: London within:5mi’. Problem #5: You want to search for ALL tweets, not just the TOP tweets. Solution: Twitter defaults to showing you only the tweets that have gotten the most traction - the TOP tweets. At the top of the screen, you can change the results to show ALL rather than TOP tweets. Here's how to use Twitter lists like a pro.